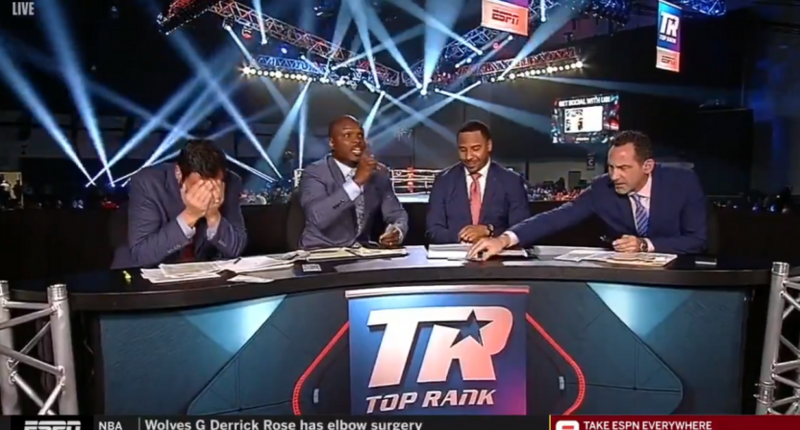 And that’s exactly what Timothy Bradley did, to the amusement (or perhaps bemusement, it was tough to tell) of Joe Tessitore, who was shocked to see that not only was Bradley slinging real money around, but that he was using $100 bills to do it. “Pacquiao money!” according to Andre Ward, and he’s not wrong! It was also nice of Bradley to offer Mark Kriegel some of the cash to fix his tie game. He’s a philanthropist, people.